As we should all know by now, cryptocurrency in India is taking a bit of a hit. With the Reserve Bank of India (RBI) ruling against it and the supreme court looking likely to do the same thing, by the end of September cryptocurrency could seriously hit a dead-end in the country. This really is positive news. If India eventually reject cryptocurrencies, they will segregate themselves from a growing, intelligent technology that promises to change entire economic systems for the better. 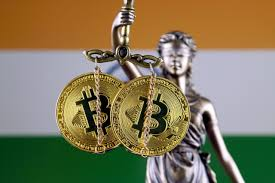 India are at the fore of blockchain research therefore, nobody can really see why they would want to out law crypto. Now it seems, even the Law Commission are on our side too.